Semi-serious analysis of sidequest-givers in the murderhobo economy? Semi-serious analysis of sidequest-givers in the muderhobo economy. I love Eberron, and thus I love reading Eberron creator Keith Baker’s Dragonmarks series, in which he expounds upon and answers questions about Eberron lore. It had been a while since he last updated, but the latest installment from this week is here. He discusses 5E (including the Unearthed Arcana material), some of the origins and inspirations for the setting, and a lot about Thrane. Nick Watanbe over at The Mad Adventurers Society wrote about some negative crowdfunding behavior. I offered a rebuttal, which ran this week on MAS, and I reposted here. Not strictly RPG material, not strictly sports material, but FiveThirtyEight ran a story about the guy who assigns skill ratings to NFL players for EA Sports’ Madden franchise. There are probably some interesting takeaways about game design philosophy in there or something, but I don’t care, I just think it’s cool. 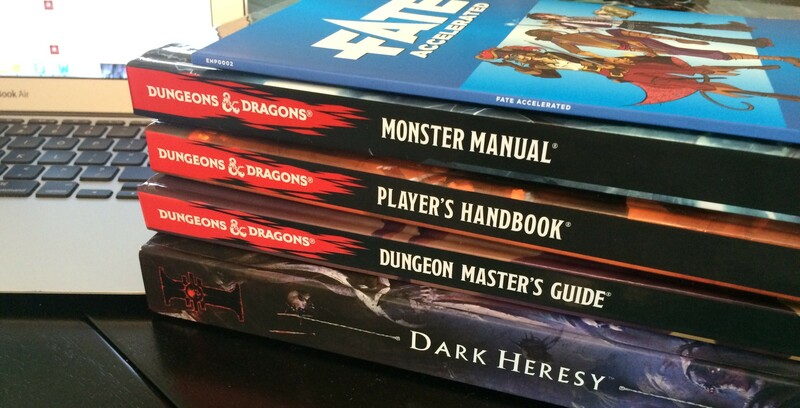 This entry was posted in Reading List and tagged 5E, Business, Crowdfunding, Dungeons and Dragons, Eberron, Madden, Reading List, Unearthed Arcana. Bookmark the permalink.